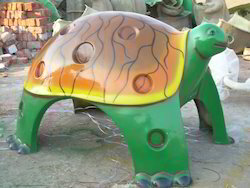 Avail from us a wide range of FRP Tortoise Doom's, used in Parks and Schools. Offered at industry leading prices, these are extensively popular among kids who are always excited to play around our FRP made domes. Designed with perfection, kids sit on these fiber products and also play around, using domes as a space to hide. 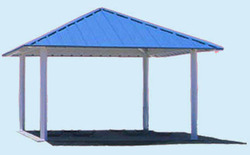 We are engaged in manufacturing and exporting a comprehensive collection of FRP Dooms. We manufacture this product under the supervision of qualified engineers, using high grade raw components. Apart from that, these dooms are widely appreciated in the market due to their durability, reliability and long serving life. We bring forth to our clients an extensive array of FRP Sheets that is developed using optimum quality raw material. Our team of skilled professionals designs these sheets in variegated thickness, colors and sizes as per the request of the client. These sheets are available in the market at cost-effective rates. Air ventilator with a great energy saver , with silent operation, ND runs only on wind power ND FRP is a base of the air ventilator. We manufacture FRP Doom, which are best in the market.